Hello Happy To Read Consumer! Freshly Written Part Second! This blog is for Mac, who sent in the first two pictures. He is a huge fan of bad translations, as am I. 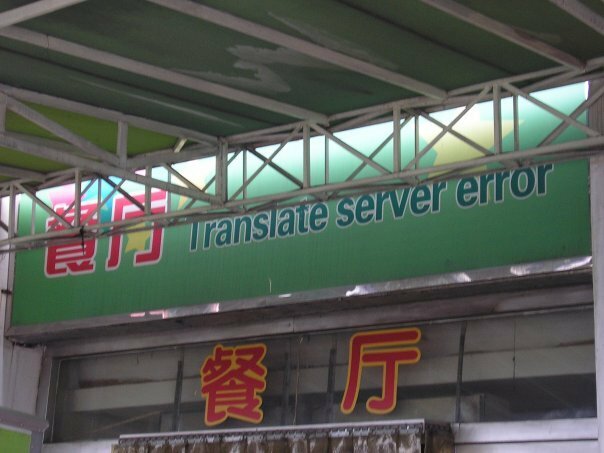 Check out my first bad translation blog here. You should also check out Mac, an awesome musician, great photographer, and all-around terrific guy right here at his Facebook page. I love the fact that they are so upfront about the spit. I am sure that a great many people base their dining options on the spit count. Up next, Mac has sent in a travel advisory. I don’t know what that is but it looks like a train station to me. Of course, for all I know that could be a sushi bar or an anime factory. Either way, I am glad that the sign was there to clear things up. They know something that I don’t. 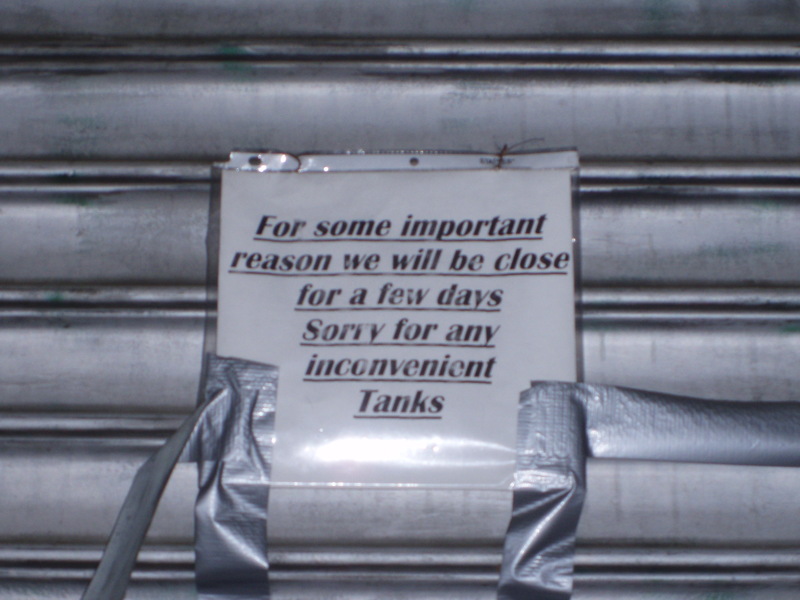 “Important reason?” “Tanks”? Something bad is brewing, but it is a comfort to know that the owners will be close in case we need them. And is there anything more inconvenient than a tank? And lastly, one more that I took myself but, unlike the one above, it has never been published here before. Behold! 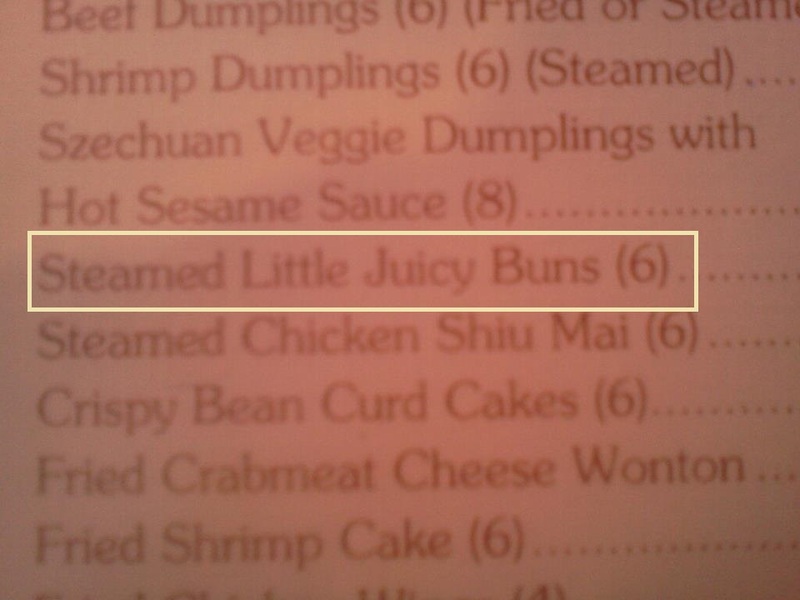 The debut of the Chinese menu fail! That just sounds wrong. So very, very wrong.